On October 7th and 8th, 2017, the Hurricane Junior Golf Tour made a stop at Callaway Gardens. Round 1 started out with an early morning drizzle, but quickly progressed to overcast with temperatures in the mid 80’s. Unfortunately, Round 2 was called off due to inclement weather. Regardless of the weather, golfers continued to compete ambitiously. In the Boys 16-18 division, Micah Knisley of Jefferson City, TN secured the first place trophy. He finished with a solid round and scored one under par for a total of 69. Knisley finished with 5 birdies and 10 pars. Blake Kollin of Milton, GA finished his round even with par at 70; claiming second place. Kollin completed his round with 2 birdies and 14 pars. A three-way tie for third place occured with a round total of 74 between three competitors: Brooks Gineris of McDonough, GA, Hayden Shea of Bowling Green, KY and Dawson Farni of Saraland, AL. 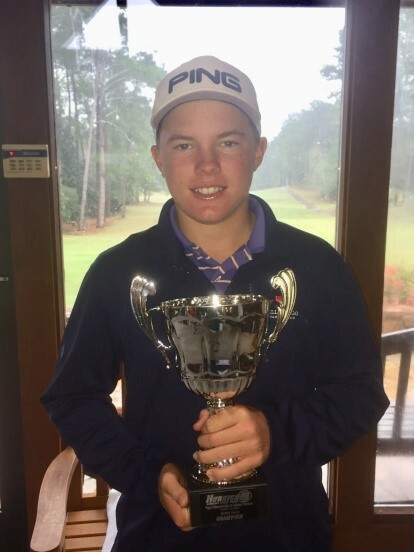 In the Boys 14-15 division, Tyler Latimer of Canton, GA completed his round with a 72 to claim the first place hardware. 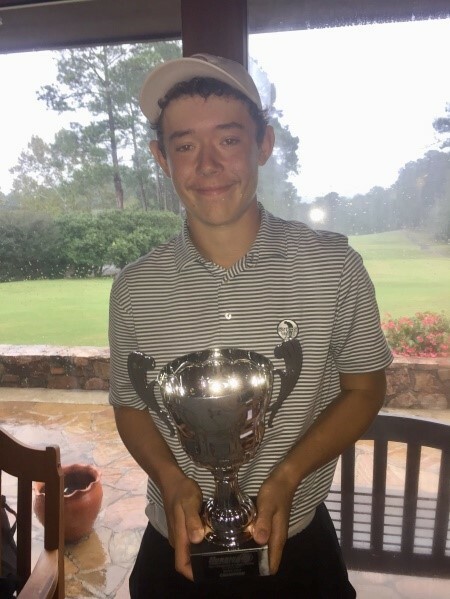 Latimer finished his round with 3 birdies and 10 pars.The second placeholder was Connor Moore of Douglasville, GA. Moore concluded his round with a 79 and finished with 1 birdie and 7 pars. Rounding out the top three finishers was AJ Ford of Atlanta, GA with a round total of 80. 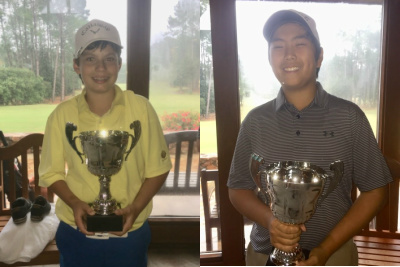 In the Boys 11-13 division, two natives of Alpharetta, GA, Will Jones and Andrew Kim tied for first with a round total of 74. Jones finished his round with 3 birdies and 9 pars while Kim ended with 2 birdies and 9 pars. To round out the top finishers was a two-way tie for third place. Tejas Reddy of Mcdonough, GA and Aidan Cohl of Lawrenceville, GA both shot a round total of 76. Both golfers also completed their rounds with 1 birdie and 11 pars. 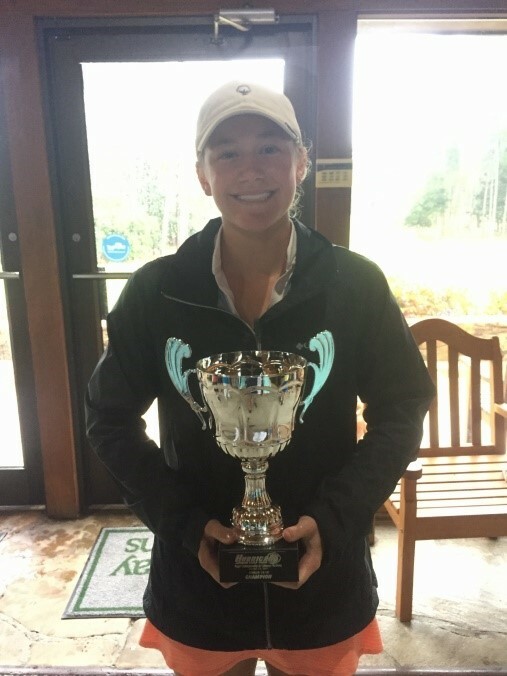 In the Girls 14-18 division, Kate Dean of Fairhope, AL finished at the top in her first HJGT appearance. Dean locked in first place with 1 birdie and 11 pars for a round total of 76. Second place was a two-way split between Sierra Fink of Tyrone, GA and Hailey Han of Duluth, GA with a round total of 77. Fink finished with 2 birdies and 8 pars while Han completed the match with 13 pars. For more information regarding the 2017 HJGT Tour, please visit our website at www.hjgt.org, call the Hurricane Junior Golf Tour headquarters at (407) 614-2962, or email info@hjgt.org.